THE L.C EXPERIENCE: The Miami Heat Defeat The Chicago Bulls! 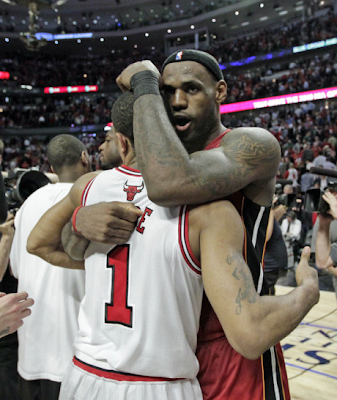 The Miami Heat Defeat The Chicago Bulls! LeBron James and Dwayne Wade pulled off an amazing comeback after being down 13 points with 3:12 left in the 4th quarter. LeBron has definitely silenced the haters who said he couldn't close out a game. Congrats to the Big 3! The Miami Heat have advanced to the NBA Finals where they'll go up against the Dallas Mavericks. GO HEAT!